Flight training can be more affordable than you may think and can be matched to your goals and your budget. Your RAA Pilot Certificate is the most affordable start point for your flying career. This basic program takes you through all of the basic aeronautical theory and training including your first solo and local area solo flights leading up to your first flight test and issue of your pilot certificate. This can be the beginning of your private flying career or the first step towards a working career in the industry. Whilst the minimum hours to attempt a certificate flight test are 25, in reality most students will probably require more to meet the standards. It is not a competition!! It is about learning to fly safely and learning to fly well. How long in hours or weeks it takes depends upon many factors including your work and other constraints. Can you fly once a day, once a week or once a month? Talk to us to map out a program for you that fits your schedule. 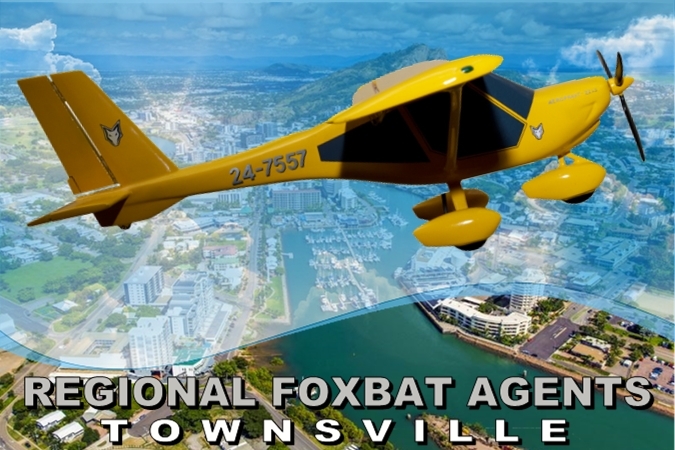 Dual Flight training in our new Foxbats is $ 250 per hour dual. Allow another $750 over the course of your training for books, tutoring (we can do a formal program to get you through both Basic Aeronautical knowledge and RAA theory exam) and flight test. Solo Training (NAVEX) and Private Hire once you complete your course is $170 per hour. Why not do your training with a mate in two aircraft and receive a discount down to $225 per flight hour and $70 per formal briefing. A further discount may also apply to tutoring for the theory exams. Your RAA certificate is now recognised by CASA as meeting the requirements for conversion to RPL, the next step towards a commercial licence.